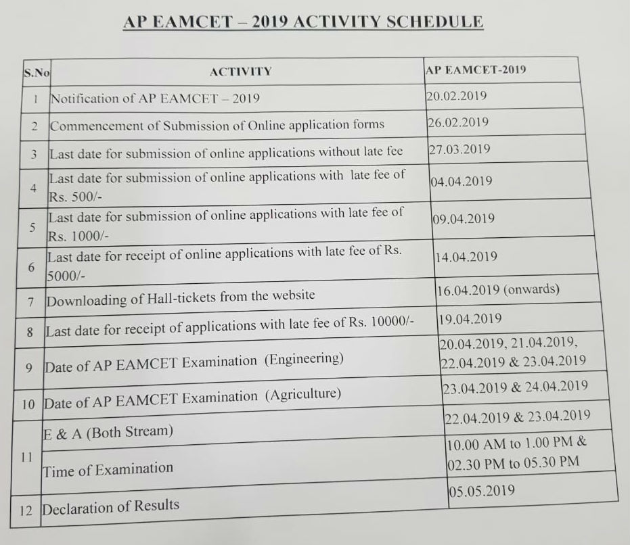 NEW DELHI, FEBRUARY 10: Jawaharlal Nehru Technological University Kakinada on behalf of APSCHE will be conducting AP EAMCET 2019 from April 20 to 22 in two shifts. The official notification will be released by the authorities on February 20 in online mode. As per the reports, the application form of AP EAMCET 2019 will be available from February 26. All the eligible candidates can fill and submit the application form till March 27, 2019, without late fee. Not only this, last date to fill and submit the application form of AP EAMCET 2019 with late fee of Rs. 10,000 is April 10. In case candidate is unable to fill the application form within the given dates, he/she can submit the form till April 4 by paying Rs. 500 as the late fee. Moreover, candidates who will successfully registered for the entrance exam will be able to download their AP EAMCET 2019 hall ticket from April 16. Authorities will announce the result of AP EAMCET 2019 on May 5, 2019. 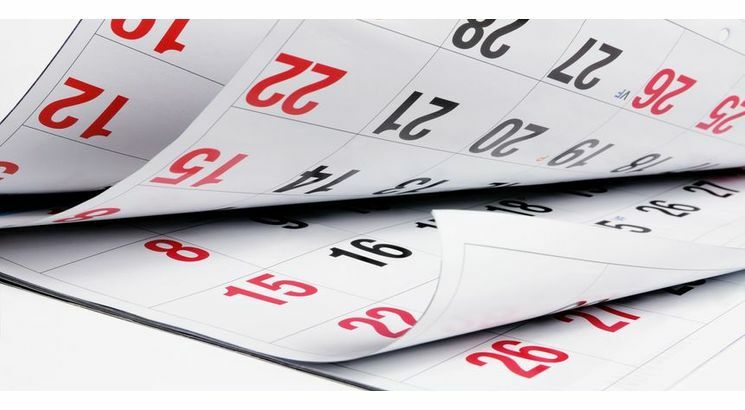 These dates are given in the activity schedule released by EAMCET convener Sai Baba. The exam conducting body will conduct the AP EAMCET 2019 in online mode for admission into various undergraduate engineering courses offered in University/ Private Colleges in the state of Andhra Pradesh.